A female infant was delivered by caesarean section at 38 weeks of gestation with a depressed calvarial fracture (DCF) (figures 1 ⇓–3). No trauma was described during the pregnancy. No instrumental extraction was used during C-section. 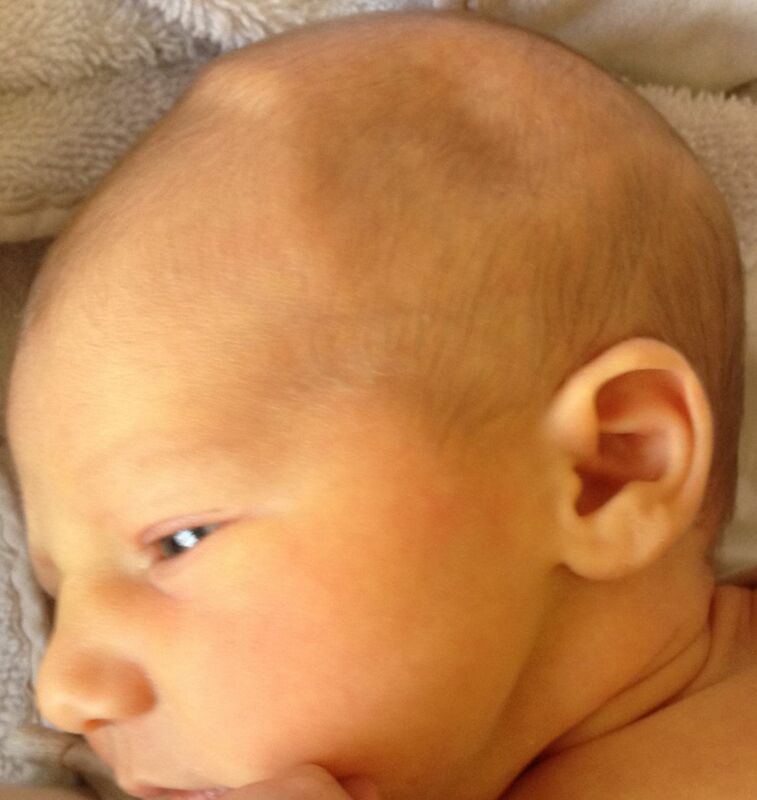 The newborn examination was normal. Photography of the 1-day newborn skull that shows the parietal depression without haematoma. Encephalic CT scan in the axial plane, brain filter, of the infant 24 hours after her birth. 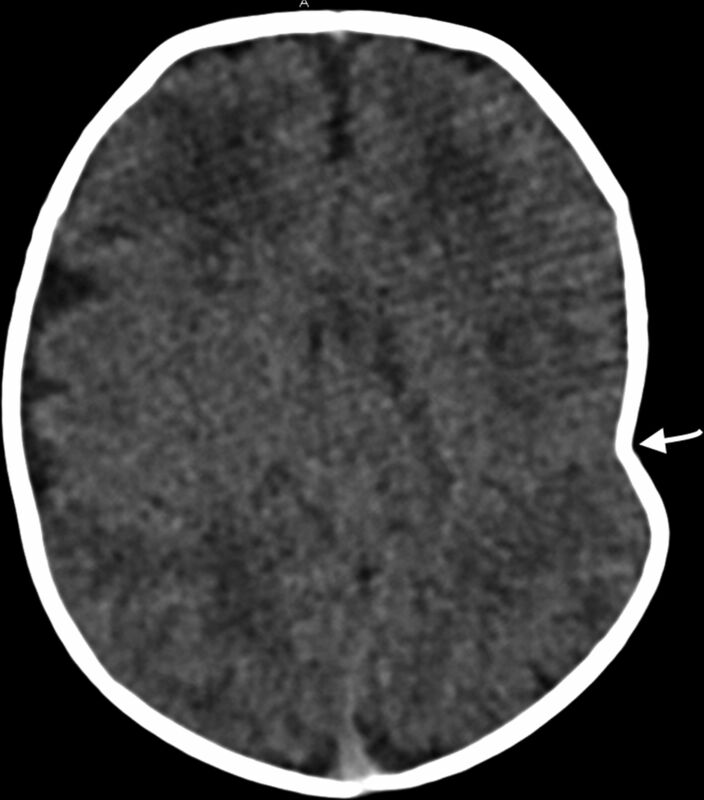 It shows the invagination of the parietal bone (arrow) with a little mass effect on the cortex, without intra-axial or extra-axial haemorrhage. Encephalic CT scan in three-dimensional volume view of the infant 24 hours after her birth. It shows the invagination of the parietal bone without break line (arrow). 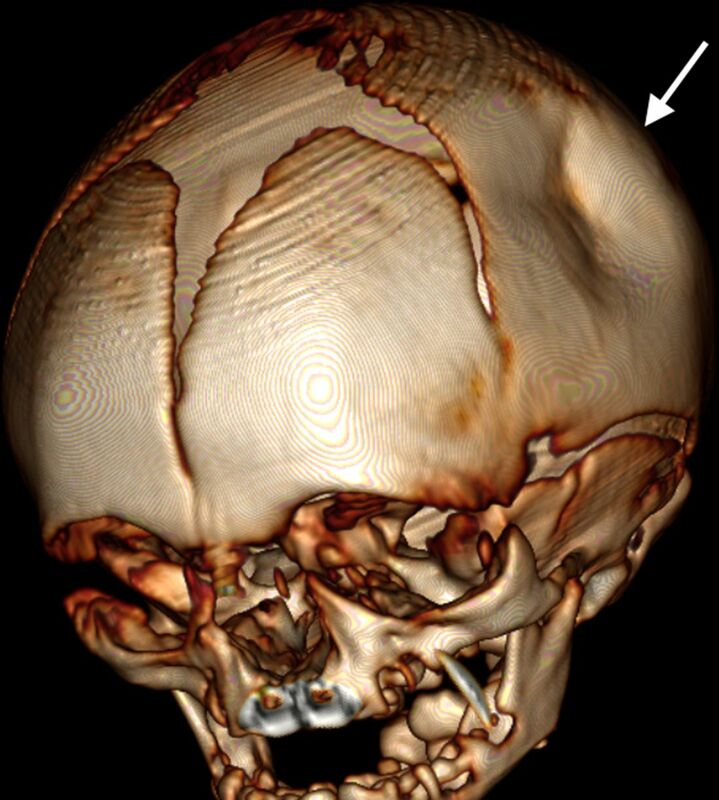 DCF are skull distortion similar to a ‘ping pong ball’ because of the cranial vault flexibility.1 DCF are secondary to instrumental extraction, but may also occur in utero.
. Spontaneous intrauterine linear skull fracture: a rare complication of spontaneous vaginal delivery. Obstet Gynecol 1996;87(Pt 2):851–4. Contributors All authors have made substantial contributions to all of the following: the conception and design of the study, or acquisition of data, or analysis and interpretation of data, drafting the article or revising it critically for important intellectual content, final approval of the version to be submitted.